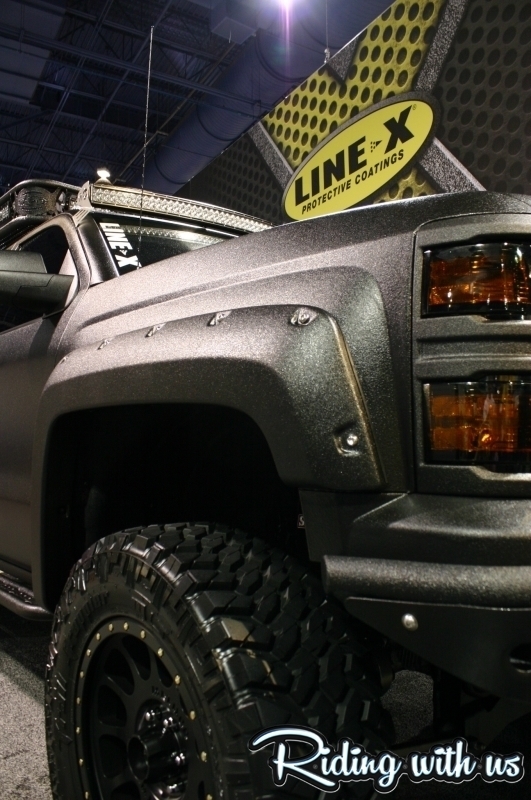 This year at SEMA LINE-X ushered in their new Truck Gear product line with the help of Mr. Duck Dynasty himself, Willie Robertson. To celebrate the release of Truck Gear LINE-X tricked out a 2014 Chevy Silverado 1500 with all the bells and whistles this line has to offer, while integrating everything “Duck Dynasty” possible! This limited edition Commander Series truck will be available to customers soon, but in the meantime Robertson will be taking this one back to Louisiana. This truck has lots of duck details, from the duck silhouette cut into the bed-mounted rack to the actual duck camouflage. If you like ducks, this is the ONLY truck for you!